Cake or pie? The pies have it! Apple Pie at Humble: Simply Good Pies. There are two kinds of people: pie people and cake people. While I am sure there are very fine people who like cake, I am, unreservedly, a pie person. While I definitely have my favorites (coconut cream and anything lemon), I am of the opinion that there is no bad pie, just pies that are less good. Norma’s is known for their “mile-high” pies, due to the fluffy meringue that tops many of their flavors. These are quintessential diner pies: the crust may not be the flakiest, but that meringue will not let you down. Classic flavors are the go-to here: chocolate, coconut, lemon. If you’re feeling adventurous, chocolate-peanut butter and Oreo are also options. If meringue is not your thing, traditional apple, cherry and strawberry pies are also available. Norma’s Cafe, 9100 N. Central Expressway. Open Monday – Thursday 6 a.m. to 8 p.m., Friday – Saturday 6 a.m. to 9 p.m., Sunday 7a.m. to 8 p.m.
Humble: Simply Good Pies opened in the spring of 2018 and has quickly become a local favorite. Flavors range from the familiar — lemon icebox, apple, chocolate cream — to the more unusual: Bayou Goo, a mix of cream cheese, pecans and chocolate cream; or French Black Bottom (2 a.m. road trip) light chocolate cream and vanilla rum custard, all with housemade crusts. A slice of one of these pies and a glass of freshly brewed iced tea in the homey environs at Humble are the perfect follow-up to an afternoon at the Arboretum. Humble: Simply Good Pies, 9014 Garland Road. Open Sunday, Tuesday – Thursday 11 a.m. to 9 p.m., Friday – Saturday 11 a.m. to 11 p.m. Closed Monday. Anytime I leave Chubby’s without having ordered pie, I regret it later. So, I try to avoid that by picking up one of their 6-inch mini pies whenever I have breakfast there. Perfect for two (but also small enough for one very deserving person), they are available in most of the classic flavors: chocolate, coconut and lemon cream, as well as cherry, apple and pecan. While the crust is not from scratch, the coconut cream pie at Chubby’s is still my favorite when I don’t have time to make my own. (Standard 9-inch pies are also available, but I’ve learned that others judge you if you eat a whole one of those on your own.) Chubby’s Family Restaurant, 11331 E. Northwest Hwy. Open 7 days, 6 a.m. to 9 p.m. Need a pie that will impress with its elegance? Trying to convert a cake-fiend to the side of pie? Emporium Pies is your answer. 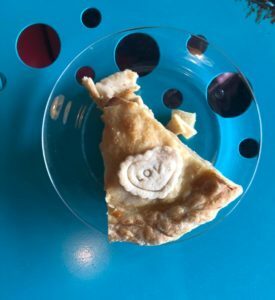 A longtime Oak Cliff destination, Emporium opened a location in Deep Ellum in 2016 and quickly had lines of pie lovers waiting for slices of the Smooth Operator (chocolate silk with a pretzel crust) and Lord of the Pies (deep-dish apple streusel). Recently they began offering Pi Scream, handmade ice cream with bits of their signature pie flavors mixed in. The interior of the pie shop looks like your eccentric rich aunt’s house. Emporium Pies, 2708 Main St. Open Sunday – Thursday 11 a.m. to 9 p.m.; Friday – Saturday 11 a.m. to 11 pm.